Horn 6v Black 3-1 2 dia Suitable for Classic Bike. 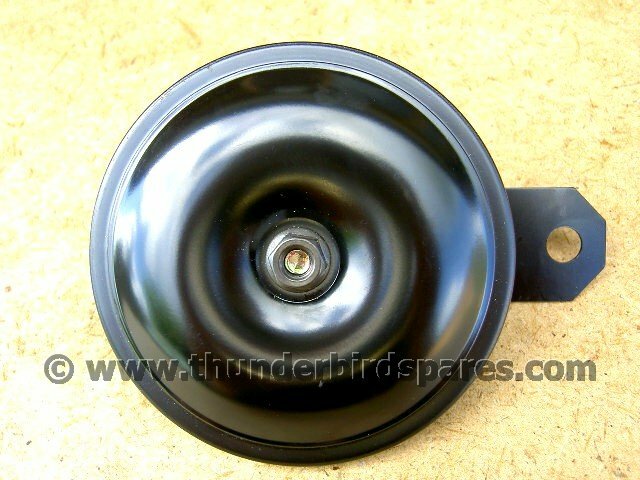 Horn, 6v, Black, 3-1/2" dia, Suitable for Classic Bike. This is a new 6 volt horn suitable for motorcycle use. It has a black painted finish and is 3-1/2" in diameter (89mm). 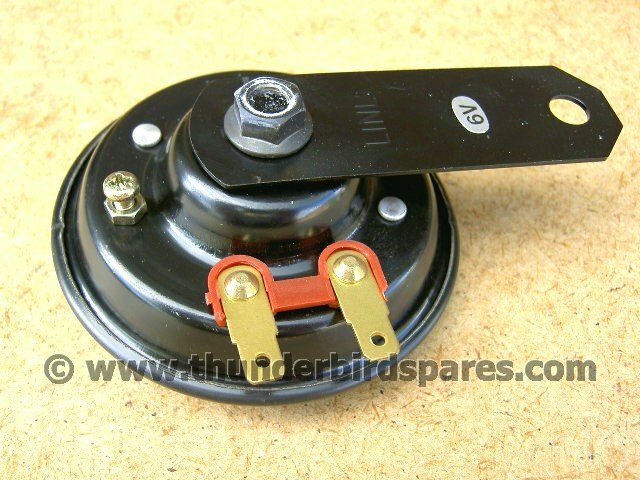 It comes with a mounting bracket drilled for a 5/16" (or 8mm) bolt. It has a decently loud tone, and is a useful, economic replacement for failed OE horns.